Puneet is passionate about delivering financial services at scale. He believes that the power of technology can be harnessed to amplify the role financial services can play in the lives of customers. He co-founded the IFMR group, and was most recently was the group CFO of IFMR Holdings. He conceptualized and started IFMR Rural Finance, a wealth management focused technology platform enabling deep customer centricity. He has raised $150 million of equity funding for IFMR Group. Previously he was Director of IIT Madras’ Rural Technology Business Incubator. 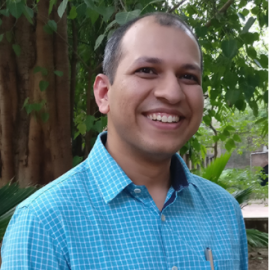 He has also been part of the founding microfinance team at ICICI Bank, where he worked on development of new channels for reaching out to micro financial and rural financial services, also extensively worked on creating facilitative infrastructure for the delivery of micro financial services. He has an MBA from the Institute of Rural Management in Anand.